Cellular membranes are highly complex liquid-crystalline entities, which makes it difficult for researchers to connect specific components and their effects on overall membrane structure, function, and biochemical and biophysical properties. To circumvent this issue, model membranes with controlled compositions have since become a staple of biomembrane research, helping researchers better understand the inner mechanisms of cell membranes. These simplified lipid systems have predominately been composed of symmetric lipid bilayers – where both leaflets are composed of the same constituents. Only recently has there been a shift toward the use of bilayer systems with asymmetric distributions of lipids across the two monolayers. 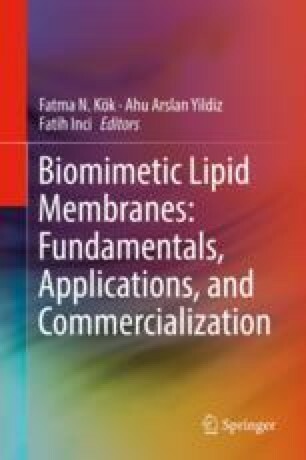 This is because most (if not all) biological membranes possess lipid asymmetry which has sparked an intense desire to study its effects on membrane structure, dynamics, and membrane-associated molecules. In recent years, many have sought out to develop asymmetric model construction methods to facilitate these studies. In this chapter, we aim to describe novel and relevant asymmetric preparation methods, as well as their pros and cons to paint an image of the current state of biomembrane research and the challenges the field faces. Ultimately, these techniques are at the forefront of an exciting biomembrane renaissance. This work acknowledges support from the Natural Sciences and Engineering Research Council (NSERC) of Canada.